Sunshine and snowdrops (galanthus) in the little organic woodland during February 2015 … a magical moment. If you’re on Facebook, we’d love more support at Towards Greener Borders, to help spread an important message and contribute towards a brighter, safer world for us all. 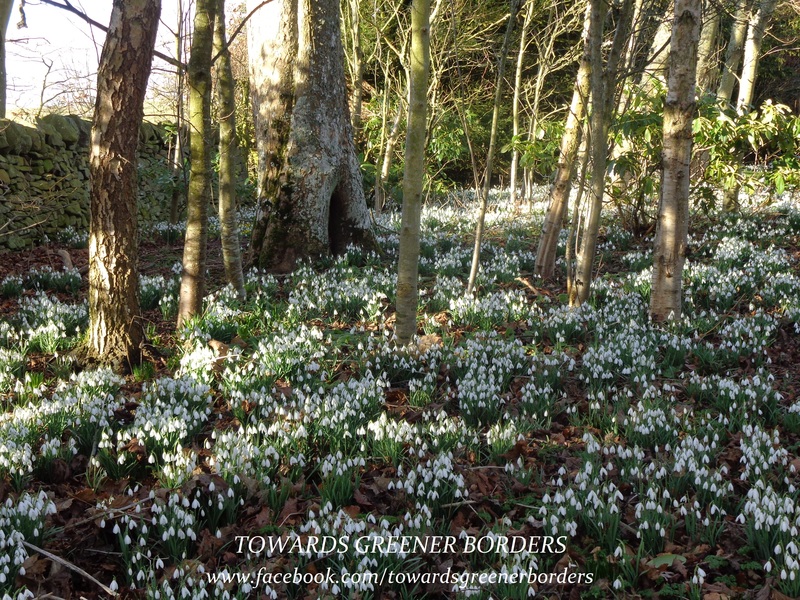 Towards Greener Borders is easily found at http://www.facebook.com/towardsgreenerborders. Please join us and do tell your friends about TGB too! Looking forward to meeting fellow bloggers and others there!